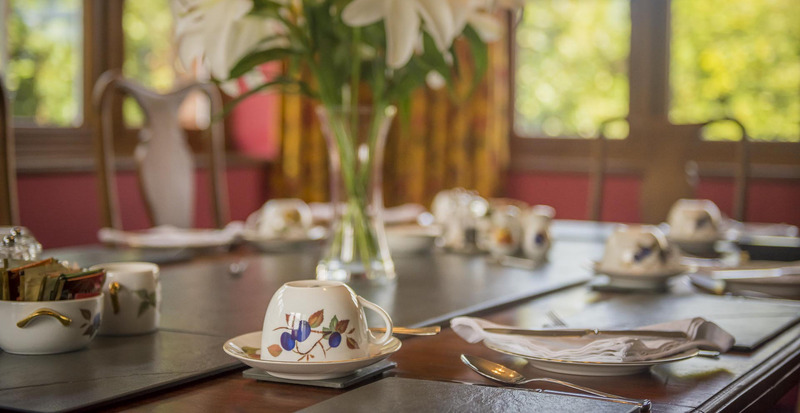 Breakfast will be served in our guests lounge/dining room overlooking the garden, at our large dining table, from 8am to 9.30am (Earlier times can be arranged). 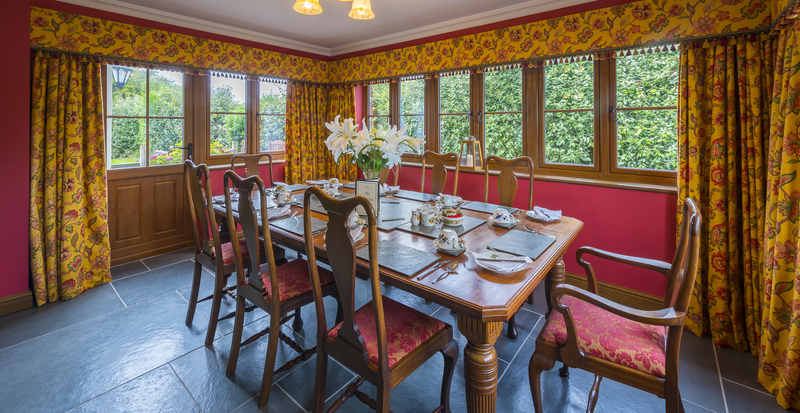 You will be served either a delicious Full English Breakfast, Continental Style lighter choices and, of course, Vegetarian options. We aim to use locally produced food whenever possible, including sausages and bacon from our home reared pigs, and fresh eggs from our chickens. (Please let us know if you have any special dietary needs before arrival).